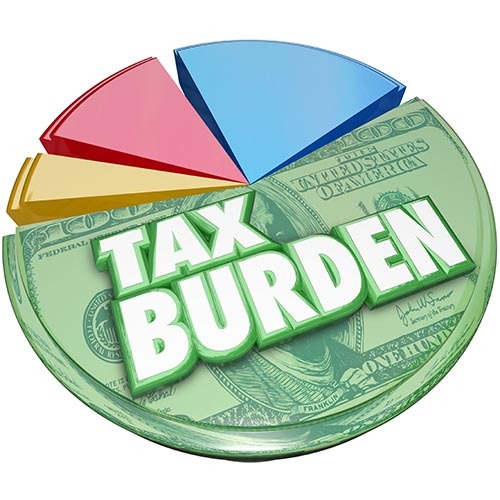 Despite all the talk about cutting taxes, the median-income family’s total federal, state and local tax burden rose again this year, says the Tax Foundation, a nonprofit research group in Washington. Senior economist Claire M. Hintz cites two main factors: growth of federal payroll taxes and general increases in state and local taxes. During 1997, total state and local taxes represented nearly 13% of the median family’s income, the report says. That was a record and up from 11.5% in 1985. Individual federal payroll taxes, which pay for such programs as Social Security and Medicare, totaled 7.3% of median family income, well above the 2% level in the mid-1960s. As if to add insult to injury this increase is not factored into the Consumer Price Index.